We talk about the tools you need. And, we talk about the tools that are really nice to have. But, what tool is needed and nice to have. But, you hate it! For me. It's the hand held router. When it's mounted on a bench it's not too bad. I'm also have nerves with the table saw when the parts get smaller. As for the rest a'healthy respect' is always wise, having one finger tip narrower than it's opposing mate thanks to a close encounter with a table saw blade. Knew what I was doing was wrong, and it all happens so fast - too fast to react but not fast enough to not know it's happening! Small parts on a table saw doesnt bother me very much, you can setup for that and carry on. 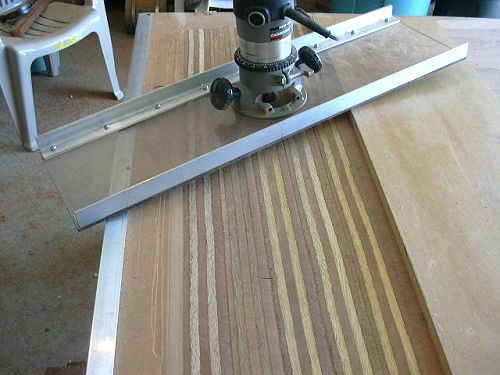 When I read the title and author on this post, I figured it had something to do with sanding. The tools I like the least are the ones that deal with sanding. I hate SANDING. But, the tools don't make me uneasy. A friend of mine, who is a really skilled woodworker, lost half a finger to a router. Sanders are fine. I just don't like doing it! The tools I hate are the ones I don't have when I need them and I can't afford or justify the expense of buying. mrintense wrote: The tools I hate are the ones I don't have when I need them and I can't afford or justify the expense of buying. Bill Edmundson wrote: We talk about the tools you need. And, we talk about the tools that are really nice to have. But, what tool is needed and nice to have. But, you hate it! Maybe you need a bigger foot on the router? Was never concerned with belt sanders before but now I have a healthy respect for it and have been more aware of what my other tools can do if you don't pay attention. Otherwise my 9"grinder scares the *&%^out of me! Not that it got used on the boat of course. for me it's the random orbital sander , thumb got too close to the spinner and the knob got my thumb nail. it stung for a few days and learned to keep fingers and thumbs away from the spinning pad. I didn't have/use a router or long board sander, so I have no opinion on those. I rather like sanding because I feel that this is a part of the 'art' of the build. My least favorite tool was the two-handed plane. I liked using it, but every time I'd hit a screw, I had to take it apart and sharpen it again--very time consuming and troublesome. I really love those curls of wood all over the place though! They made me feel like a period craftsman! I hate jointers I lost up to my first joint on my right hand to one after having a kick back. All these years latter I do not own one. With any tool safety first and don't take short cuts. And primary rule never get over confident with the power tools they will bite you end the end. Love my table saw. It is a Sawstop. I hate all Festools, because they are so expensive. Maybe I am just jealous.